When diagnosed with diabetes, it can be a life-altering change. One of the biggest changes may be to your diet and how you think about food. However, with a proper plan and diet, and by eating healthily, you can begin to control symptoms and start to get your life back. At Rawlins County Health Center, our staff wants to ensure that you live your healthiest life. The purpose of creating a nutrition plan to manage your diabetes is to help control your sugar intake. This will also help you manage your weight and other factors, such as heart disease and high blood pressure. Without the proper diet, there could be complications from the rise in blood glucose, including nerve, kidney, and heart damage. In order to prevent these from occurring, a healthy diet is a primary defense. When you consume simple carbohydrates and starches, these break down into blood glucose. Avoid processed bread and instead focus on eating fruits, vegetables, beans, peas, lentils, and low-fat dairy products. A benefit of fiber-rich foods is that they control how your body digests and slows the absorption of sugar. Include foods with insoluble like beans, whole wheat flour, broccoli, pears, chickpeas, and many other fruits and vegetables. Certain fish will help lower blood fats, known as triglycerides. Look for fish that are high in omega-3 fatty acids, such as salmon, cod, tuna, and halibut. Other heart-healthy foods include spinach, oatmeal, berries, nuts, tomatoes, and dark chocolate. You want to include the healthy fats, or monounsaturated and polyunsaturated fats. These include foods like avocados, almonds, pecans, olives, and olive oil. However, be mindful of how much you consume of these foods, as they are often high in calories. Eat More Vegetables: When putting meals together, fill your place with appropriate amounts of certain foods. Fill one half of the plate with vegetables, such as spinach or broccoli. One-quarter of the plate should be filled with a low-fat protein like fish or pork. Finish the plate off with a whole grain. 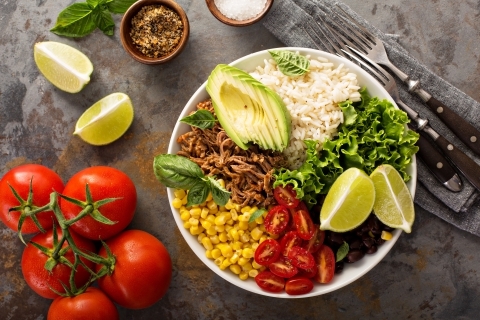 Carbohydrates: Carbohydrates have one of the biggest effects on blood glucose, so be sure to eat carbs at the same time each day, especially if you are taking medication or insulin. Exchange List Method: One method for finding healthy foods to eat is the exchange list. These lists include foods within certain categories, such as protein. The foods within the same category have similar effects on your blood glucose, so you can choose one food from each category. Glycemic Index: When choosing healthy foods to eat, some diabetics use this method to help. 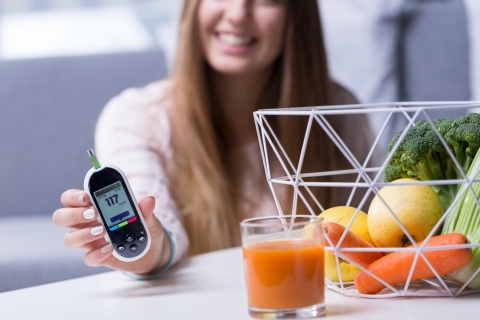 Essentially, this method lets you choose foods based on how they affect glucose levels. Talk with your doctor at Rawlins County Health Center to learn more about this strategy. 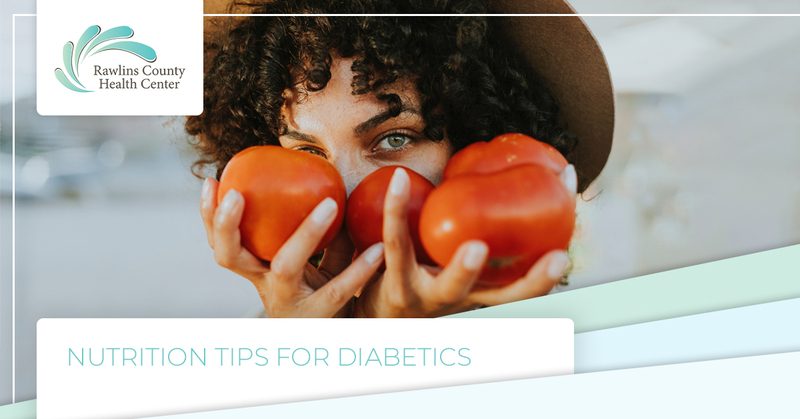 We understand that living with and managing diabetes can be frustrating and overwhelming, but we also know the importance of having a healthy diet and lifestyle. It may be a slow start to find a routine that works for you, but with the right help and guidance from the staff at our medical center, you will begin to feel healthy and positive. Learn more about the diabetes treatment at our medical center and schedule an appointment today.